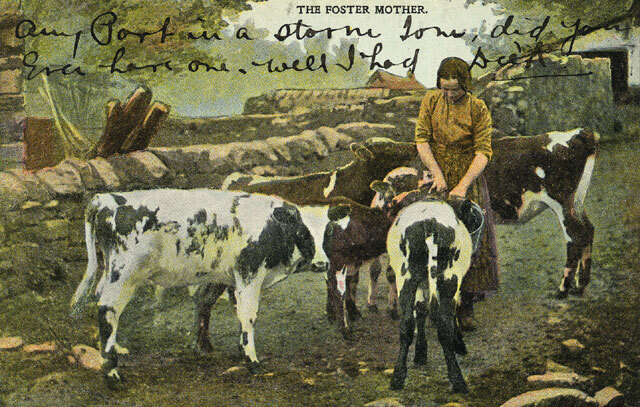 Most of the population of western Ireland was engaged in agriculture of some form. However in the towns there were store owners, blacksmiths, stone masons, chimney sweeps, car men, thatchers, and labourers of all sorts. Near the coasts there were fishermen. SKETCHES OF THE PESANTRY IN MAYO"
These three images show the shepherd, a young woman carrying fleece and a young woman spinning the yarn. 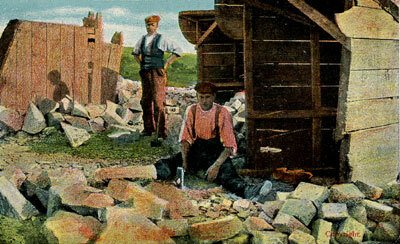 "Irish Granite Industry. 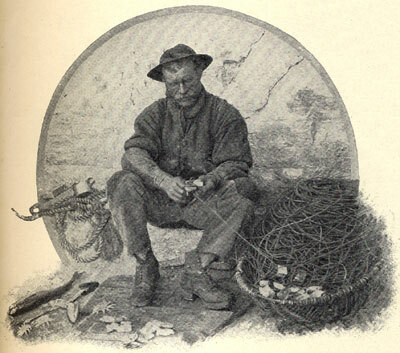 Making setts "
Charles Lardner, the godfather of Joseph Walsh, was a stone cutter. This card is not post marked. However, someone has written "1908" in pencil on the back of the card. An Irish Thatcher: One of the characteristic features of the Irish countryside is the old-style farm house with its thatched roof. The style of thatching varies throughout the country. Along the west coast the thatch is bound down securely with a network of ropes, fastened to a row of pegs set in the walls, or to a line of stones along the eave. Inland thatching is bound with cords or scollops. 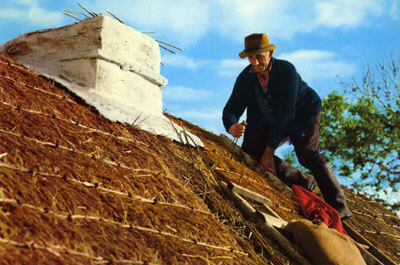 Thatch was a cheap from of roof in the old days. 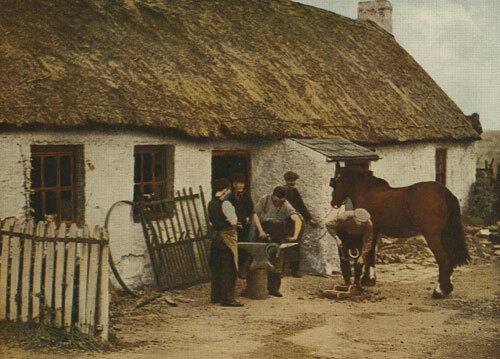 In the days before the automobile an important member of the community was the blacksmith here shown shoeing a horse.